Dr. Hatch and his staff have received several new reviews on Google and wanted to thank their patients for leaving them. Click here for options to leave a review. “I can’t say enough wonderful things about Dr. Hatch and their awesome staff (Julia and Jennifer- you girls rock)! I started seeing Dr. Hatch in my third-trimester of pregnancy. I had been planning for an unmedicated VBAC, and I was urged by my midwife to see an acupuncturist. Not only did the doc get rid of my annoying rib pain, but he made the rest of my pregnancy rather painless. Dr. Hatch told me not to worry, worked his magic, and within a week my boy was head-down and in favorable position. Fast forward four weeks and eight treatments later… my second son finally decided to make his appearance into the world. From first contraction to being in my arms: 11-hours. I got my unmedicated VBAC, and I am convinced that without the work of this amazing office I probably would not have succeeded. You guys rock! I am such a strong proponent of eastern medicine and looking into natural ways to avoid unnecessary medical procedures, and I will be sure to send anyone I can your way! Been coming for months for relief from tingling feet & extremities. 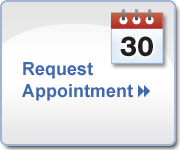 Office is clean, staff is friendly & Dr Hatch is competent, knowledgeable & attentive. I avoided chiropractors for years after a bad experience & now I’m relived to have found a chiropractor that I trust to help me manage my health. Highly recommended! I’ve been to multiple chiropractors in NY, MA and CO and no one has come close to Dr. Hatch’s skill set, knowledge and kindness. His sense of humor is an added bonus. I started seeing Dr. Hatch for lower back and shoulder/chest pain. Being a new mom and breastfeeding all hours of the night, my body started to feel the effects. After the first adjustment, I felt amazing. Dr. Hatch does a whole body adjustment, so he focuses on overall wellness. I’m in my 3rd week of treatment, and I feel like a new person. I’m no longer in pain as I feed/hold my daughter. My 3 month old was very congested and having a horrible time sleeping, so I decided to bring her in. I’m so glad that I did, after her first treatment, she was breathing better and sleeping longer. Dr. Hatch also noticed her aversion to looking left, and is currently working on getting her neck stronger. She’s starting to have more mobility and actually enjoying tummy time. My only regret is not bringing her in sooner. I also referred Dr. Hatch to my sister, who holds all her stress in her neck/shoulder area. She’s never been to a chiropractor before, and was timid at first. But after her adjustments, and seeing improvements, she’s a believer. I look forward to continuing treatment for myself and my little one. Look no further if you’re looking for a great chiropractor. This office also has a great staff. Julia who holds down the front desk is amazing. She’s very knowledgeable with insurance and is very personable. The whole experience at this practice is a great one. I would give more stars if possible!! Just had an acupuncture session the doctor this afternoon for an ACL problem. I love how easy going and knowledgeable she is! Always a great explanation of the issue as well as the treatment. Overall my experience here has been stellar. I can’t wait to tell my friends and family how much they have helped me! Dr. Hatch and his staff helped our son when his back was injured, and gave him exercises to do at home to avoid injuring it again. When my husband was injured in a car accident, they walked us through his treatment plan, what to expect, and even how to deal with insurance. We feel like they care about our family very much and we highly recommend them! Dr. Hatch and his staff are wonderful. They are super friendly, explain everything they are doing before they do it and why they are doing it. I haven’t used a chiropractor in years, but have missed it tremendously. They are very affordable and they have a client for life! After the first acupuncture treatment my knee felt 80% better. I cannot say enough about the positive results I’ve received from Dr. Hatch. I have had chronic neck and hip issues for years, plus knee pain, and I was convinced that I would be having knee surgery. I began at Hatch Chiropractic in September. After a couple of visits and discussing my problems I agreed to add acupuncture. After the first acupuncture treatment my knee felt 80% better. I have had 6 acupuncture treatments and I have no more knee pain. Plus, my hip is pain-free for the first time in 5 years. I just turned 70 in October and he has helped me feel like a healthy 50 yr old. I enjoy his engaging and pleasant personality and the atmosphere of the clinic and personnel is so positive. I have only been seeing Dr. Hatch for about three weeks now but the difference in three weeks is fantastic!! I was in a bad car wreck in 1998 and never realized all I was feeling was related to my injuries from that long ago accident. I had whiplash that was never treated plus multiple injuries to my feet and knees. Now my headaches are subsiding, my back is feeling better and my legs are even again! And he did acupuncture to relieve my chronic cough!! Dr.Hatch takes the time to explain everything to you, he is honest in his views and his practice and he takes the time to make sure you are comfortable with what he is doing. I never feel like I am being rushed in and out of his office. He works with you on his fees and always has suggestions to offer. Dr. Hatch is my doctor. He is a very caring person. I met his whole family and they are all wonderful. When I came to Dr. Hatch, the muscles in the whole right side of my body were bruised up due to an accident that almost took my life. After one week of treatment I started to feel again. I was aware that I still had muscles on that side of my body. By the third week, I started to not need my eye glasses for short city driving. I have progressed to the point where my right side is almost alive again and I can stand straight without holding my should to see if it was still there. The biggest surprise was when I took my wife at Chipolte to get something to eat. There was Dr. Hatch, opening the door for us!!! How many people receive that of care, away from the clinic?!!! Dr. Hatch has been a God-send to my family! He’s taken so much care in treating my daughter during pregnancy and after delivery when she was in a car accident and suffered whiplash. She feels so much better! He’s treated my husband and I and has created movement where none was happening! I recommend him without reservation! He and his staff show each patient that their comfort and healing are the utmost priority! Feel free to leave a review below or check out some different options here.